Take a listen to this powerful take on Ed Sheeran’s song ‘I See Fire’ covered by New Zealand trio Sol3 Mio. Coined ‘The All Blacks of Opera’, tenor brothers Pene and Amitai Pati, along with their baritone cousin Moses Mackay, released this emotional song as an anthem to New Zealanders across the globe eagerly awaiting the start of the Rugby World Cup on September 18. ‘I See Fire’ comes from their forth coming album, ‘On Another Note’ whose release coincides with the start of the World Cup. 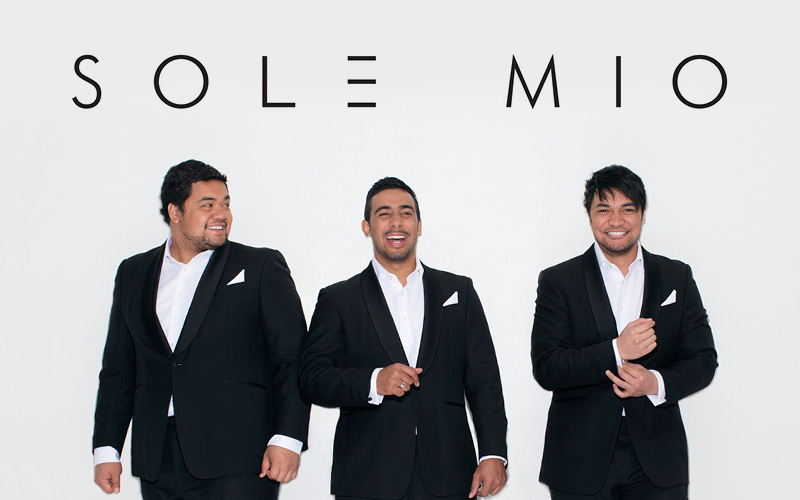 Since their self-titled debut album in 2013, Sol3 Mio have toured New Zealand twice, with over 40,000 fans turning out each summer to theaters and arenas around the nation. The trio, united by a love of opera and strong family ties, transfixed audiences with an utterly unique mix of soaring voices and classic kiwi humour. Their debut album spent a staggering 16 weeks at No.1 and is now 7 times platinum – making Sol3 Mio New Zealand’s most successful musical acts ever! ‘On Another Note’ is out 18th September 2015 iTunes and sees the trio build on the foundations of their 2013 debut. Previous Article Interested in being a Jazz Journalist?